All our cottages have won awards for quality. 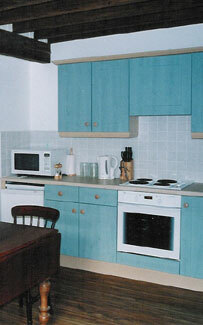 The kitchens are superbly equipped and have ovens, hobs and microwaves. There are Hi-Fi systems and TV/DVD's in the living rooms. Some bedrooms have king-size beds and spacious shower rooms with glass dividers. All accommodation has central heating throughout. All linen is supplied (except swimming towels). Each cottage has its own garden furniture. In the "Washhouse" there is a freezer, washing machine, tumble dryer, and sink. There is also an iron and ironing board, and space to dry outdoor clothing and boots. There is also a rotary clothes line. The swimming pool, hot tub and sunroom are available at all times. We have two new apartments available both of which are on the first floor of our restored Essex Barn. They are accessible through a new courtyard, which leads to an attractive glazed entrance hallway featuring the old wooden dressing machine, with a staircase leading to the first floor. The Cornloft and the Hayloft are very similar in design with the kitchen, dining area, bedroom and shower room on the first floor, and a staircase leading to the lounge on a mezzanine floor, which has beautiful views across the surrounding countryside. The Cornloft & Hayloft have king size beds. The shower rooms are spacious with glass dividers. Both benefit from the addition of FREE wi-fi, so bring along your wi-fi enabled smart phones and gadgets. Both apartments have attractive features with the old wooden beams and points of interest preserved, whilst providing spacious accommodations.